In 2007 three longtime friends who had been enormously successful in business decided that they wanted to put their skills, their experience, and their position in the business community to work for an enterprise with real PURPOSE. They came up with 2 great ideas. First they acquired the support of some of the largest corporate law firms in the U.S. and created a new type of corporate entity called a Benefit Corporation. This type of corporation is responsible not only to its shareholders, but also to its stakeholders such as its workers, the community, and the environment. Working with select politicians in various states they drafted legislation and introduced it to state senates and assemblies. Benefit corporations have been ratified in 17 states as of today and will soon be a legal form of incorporation in 26 states including Delaware where 40% of U.S. companies are incorporated. Several well known companies such as Ben & Jerry's Ice Cream have become one of the 782 operating Benefit Corporations to date across a wide range of industries. Benefit Corporations are clearly creating the foundation for the expansion of Social Enterprise into the mainstream of American business. The second great idea that they have since put into action is the creation of a Nonprofit Organization called B-Labs which certifies Benefit corporations and provides services to them to help them in many areas of their business. Like Charity Navigator or the organization that assures that coffee is fair traded, B-Labs assures the public that the Benefit corporation is transparent in doing exactly what it professes that it is doing for the social good. Once certified by B-Labs the Benefit corporation is called a B-corp. 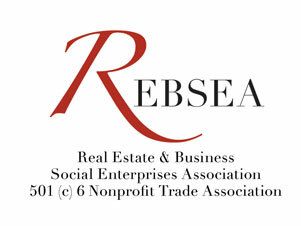 There is much more to tell about this important development in Social Enterprise and we will be doing exactly that in all future issues of the REBSEA newsletter.